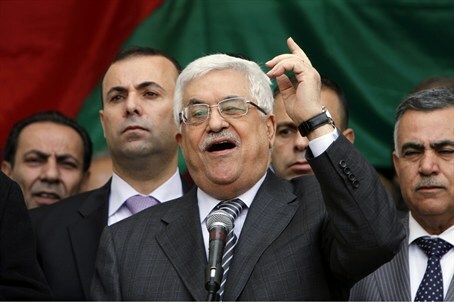 Thousands of people greeted Abbas rapturously upon his return from the United Nations, where the General Assembly granted the PLO, representing the PA, upgraded status as a nonmember observer state. "Raise your heads high, because you are Palestinians!” Abbas told the joyous crowd, waving PA flags in the PA capital of Ramallah, located in Samaria. "You have proof that you are stronger than the occupation, because you are Palestinians... stronger than the settlements, because you are Palestinians. "We were threatened with punishment and sanctions from various sides,” Abbas continued, in a reference to attempts by the United States and Israel to dissuade him from proceeding with the application. "And if we had listened to those threats we wouldn't have gone to the U.N.